It's one of the most popular activities at KIVU. 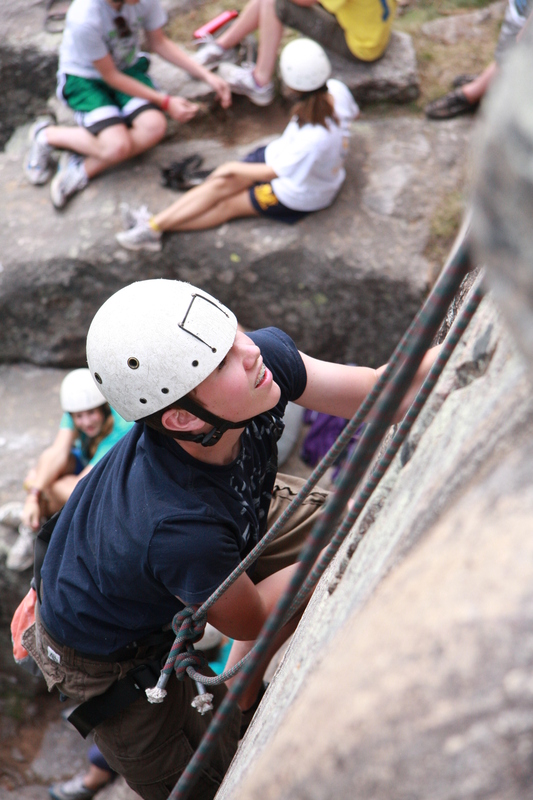 Kids love putting on the harness, tying in the ropes, and setting out for an adventure to conquer the rock. Climbing is an interesting sport. There's a sense of connection to nature, the pace can be rigorous, but the time spent hanging with your friends is slow and valuable. We all climb things, don't we? It might not be the rocks of southwest Colorado, but we all have goals in our lives, dreams we want to see fulfilled. Some of us climb insatiably, while others of us take our slow sweet time. Some of us climb with a "nothing is going to stop me" destination mentality, while others of us understand the value of the journey. The bottom line…How are you climbing? Second term started here at KIVU yesterday, and I can already see deep in the eyes of the kids here. They come here to solidify their stance on what it is they believe. They come here to try out new adventures in the mountains of Colorado. But most of all, I think they come to find people who can just be plain honest with them. They want people to come and join them on life's climb, because I think as incredible as it feels to conquer your goals, fullness comes when we do it together. Yesterday I was talking to a friend from Houston who said, "I come here because my life is going 9 million miles an hour. But here I can take a breath." As we climb higher to reach our goals, we don't want to forget the value of climbing togetherr. We need each other here on this planet. So as we Love God, may we also see how to Love Others well. I hope you have an incredible day climbing….wherever you are!! Previous What a Great Night @campkivu!